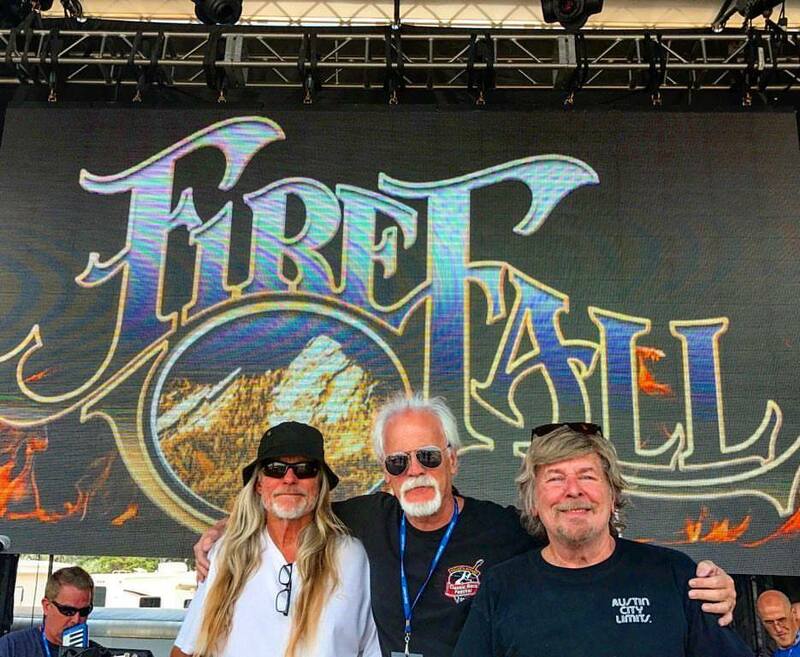 If you like classic rock, you know the band Firefall. It toured with Fleetwood Mac and had chart-topping hits, including “You Are the Woman,” which hit No. 9 on the Billboard charts in 1976. But what you may not know if that Firefall has deep Boulder roots — and it’s coming to perform a free public concert at Pasta Jay’s (in honor of the restaurant’s anniversary), 1001 Pearl St., at 7 p.m. Thursday, July 12. 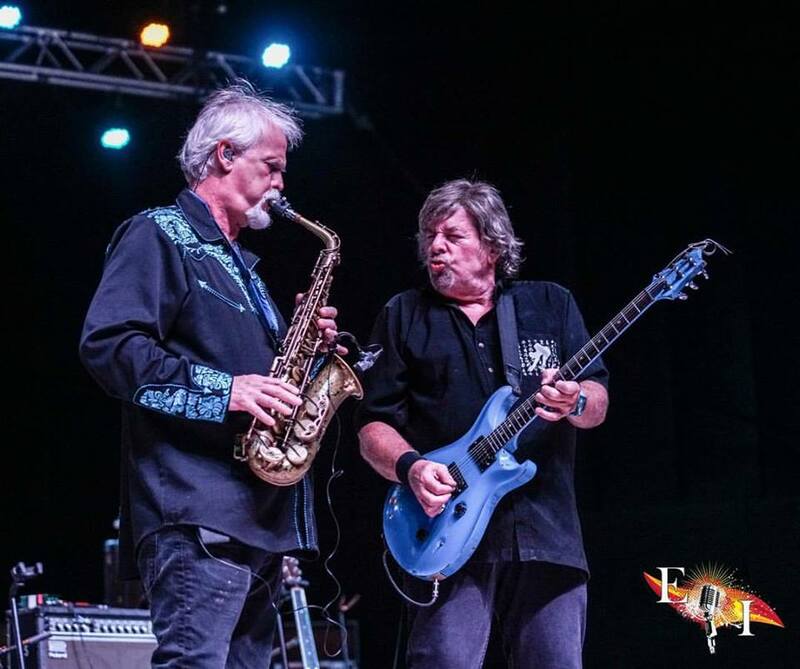 Yes, Firefall is still touring and regularly performing, although the band has evolved over the decades, losing and gaining different members. 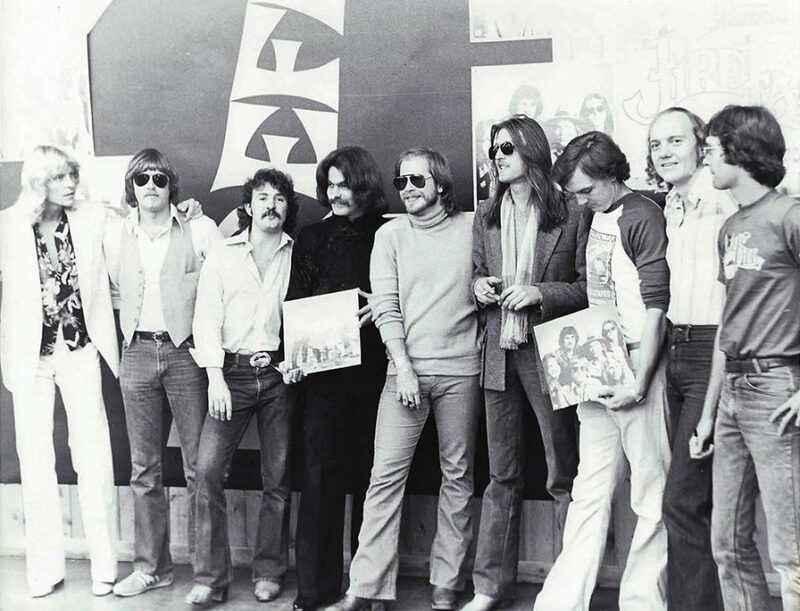 Today, several of the original members are still a part, including Jock Bartley — who helped found the band when he was a student at the University of Colorado in Boulder — and Mark Andes (both members since 1974, although Andes took a break between 1980 and 2014). 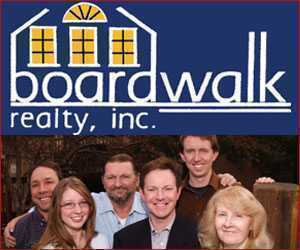 Other current members include Sandy Ficca, Gary Jones (the newest member) and David Muse on keyboards, flute and sax. Muse, who joined in ‘75 with a handful of offs and ons over the years (including a period when he joined the Marshall Tucker Band), currently lives in Florida and recently chatted with us on the phone about Firefall in 2018. 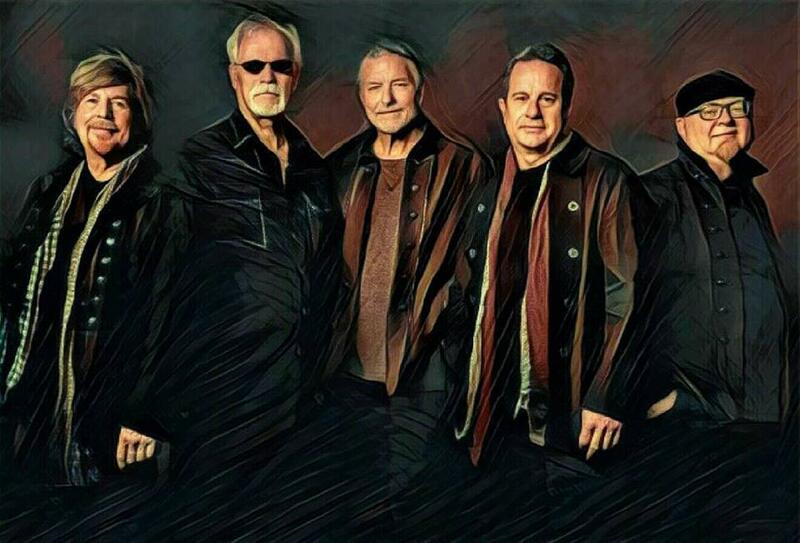 We wanted to know what Firefall’s been up to and how Boulder influenced the music and band, as well as what Muse recalls from when he lived in Boulder. Here’s how our conversation with Muse went down. What is Firefall up to right now? We have been out touring. 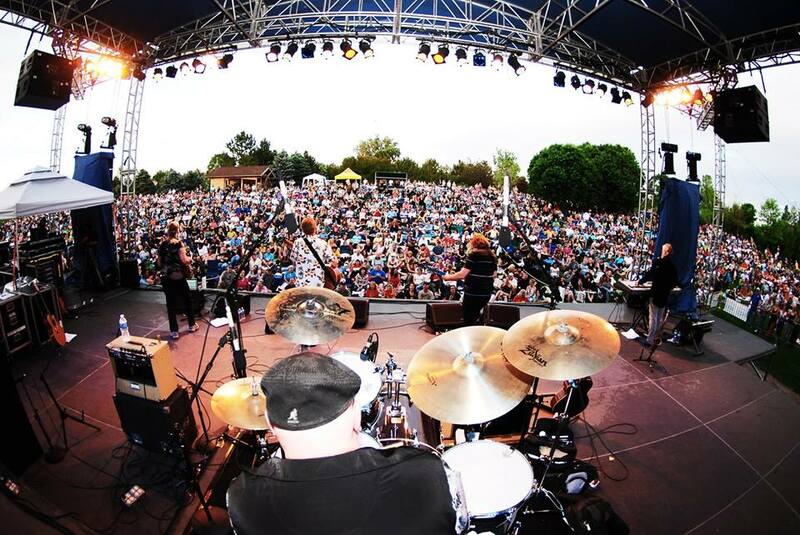 We played Hudson Gardens [in Littleton] for the Fourth of July. Coming out later this month is our first new single in quite a long while. Mark [Andes] was an original member of Spirit [a band popular in the ‘60s and ‘70s]. We did a remake of the Spirit song “Nature’s Way.” It comes out July 23. Find it on our website and mine. What are some of Firefall’s ties to Boulder? We all have a connection to Boulder. Jock [Bartley] still lives in the Boulder area, closer to Denver. He grew up in Colorado Springs. Sandy [Ficca] owned Boulder Drums for years and years. Rick Roberts [singer-songwriter and founding member/lead singer of Firefall until ‘81] lives in Longmont. Ricky is the one who wrote most of our hits and he’s still out playing and writing books. I used to live in Boulder. I was on my way to LA when Ricky called me and told me to come by; I never made it to LA. One thing led to the next, and the next thing I knew, we were in Miami recording the first album, then out with Fleetwood Mac. Everything took off. Mark [Andes] moved out from LA, too. It was a very exciting time in Boulder. 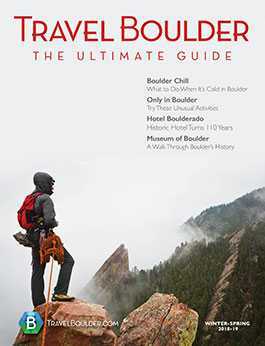 How was Boulder different then? Pearl Street wasn’t a mall. It was a street. It was a whole different time, with Tulagi’s up on The Hill and The Good Earth Club on Pearl. Chris Hillman from The Byrds was living there also and we played with him a bit. In those days, it was an old hippie town. The first night I got into Boulder, I came in about 2 in the morning, and the next morning I went to a restaurant that was filled with a bunch of hippies. I thought, “Hey, geez, I’m home.” I feel very fortunate to have been there at that particular time. I still love Boulder, but it’s changed a lot. It’s very high dollar. It’s gone upscale and yuppy. Four to five years ago, I hadn’t been there in a while and there was actually a traffic jam coming into town. I thought, “Are you kidding me?” It’s growing up. I blame it on Mork and Mindy. 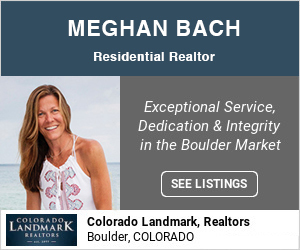 What did you like to do when you lived in Boulder? I grew up on the East Coast, so being in the mountains — the atmosphere there was great. Just to be able to go hiking and ride your bike in the mountains, go out to the Boulder Reservoir and go swimming. I love to sail; I was missing the water and the ocean, but you could go sailing on the Res. Of course, the water was ice cold. How did Boulder influence the band? Everybody brought their own music influences with them, but the atmosphere of just being in Boulder and the mountains influenced it, too. What is your proudest accomplishment with Firefall? We played Carnegie Hall and Madison Square Garden. The fact that we were so lucky to have top-10 hits and be in that time with that particular music — we were lucky to be able to participate in that, a lot from Rick Roberts’ songwriting. Ricky brought the songs and his voice. Mark [Andes] had a stylistic style of bass. I brought the harmonica and keyboard, which added to the sound, and it all mingled together. People ask me, “How do you put a good band together?” I say a band is like a bike wheel; you gotta have all spokes in place, tuned up and running. Otherwise, it doesn’t run that great. So what is Firefall like today? We rebranded. Jock’s kept it going for a lot of years but we haven’t had any new products in a long time. This first release is the first of four to five new songs and eventually a whole new album later this year or next. We try to keep some of the old sound and we will because there are three of us from the old band, but there are new elements and sounds and new songs. We’re not doing any of Ricky’s songs; we have two different guys, and Gary doesn’t sing like Rick Roberts. It’s an old band but with new influences. It’ll be some of the same but different also.